Promotional products are one of the best ways to create awareness for a specific brand or company. Around 88% of consumers remember the particular advertiser that they saw on a promotional product, and 85% of those consumers end up doing business with that company. While there are numerous types of products on the market, a promotional USB is one that will help get your brand known. Consider this type of product the next time your advertising budget allows it. What is a Promotional USB? A promotional USB is a small device that is used to store and transfer information on computers and laptops. 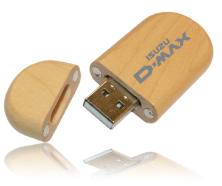 A promotional USB comes in many different storage sizes, depending on the type you purchase. The smallest range from 128MB and up and come in a variety of colors, shapes and sizes. These small sticks hold a wealth of information, such as pictures, music, videos, documents, files and more. Some come on lanyards or keychains, while others can be attached to a keychain of your choosing. Many USB ports are just small, rectangular sticks, but you can buy USB sticks that are in different shapes such as keys, cars, musical instruments, cartoon characters, animals and more. Why Choose This as a Promotional Item? While everyone will enjoy this type of promotional product, there is a certain demographic that will get the most use out of it. Students will use a promotional USB the most, whether they are in middle school, high school or college, as most classes use a computer for school work in the society of today. But it isn’t just students who will use a promotional USB. Men and women who work with computers in an office will also enjoy having a USB port that they can keep files and other items safely on. You can give away your promotional product in a variety of settings, such as trade shows, business meetings, sales meetings, community events and more. Include a free USB stick with every purchase someone makes. Everyone loves getting something for free, and you can’t go wrong when it is such a useful item!